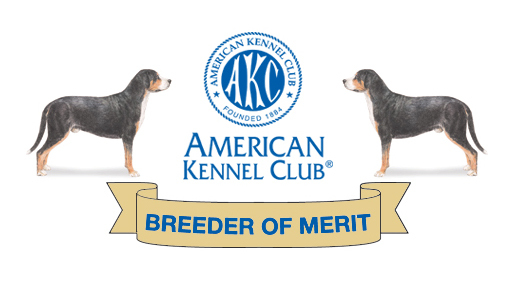 As of October 2018 We have produced 45 AKC Champions and 55 titled dogs earning the "Gold Level" Breeder of Merit! 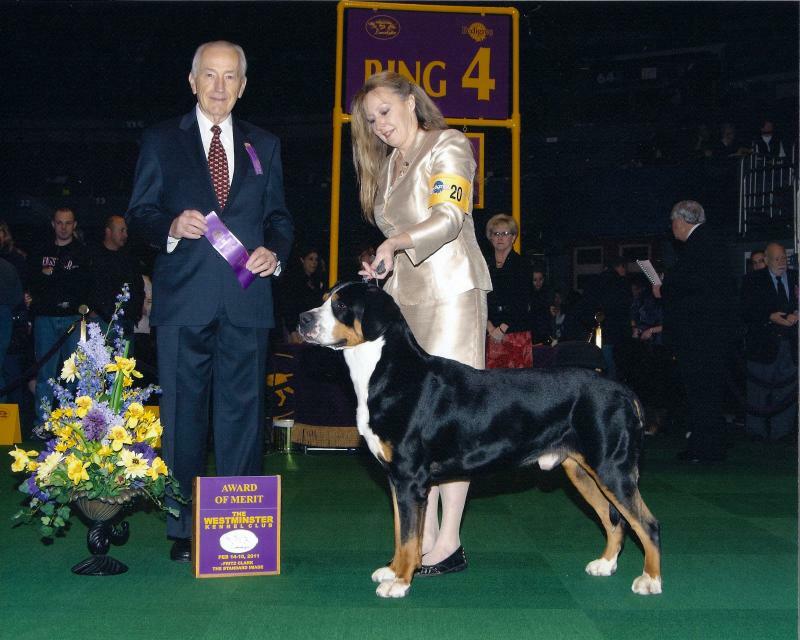 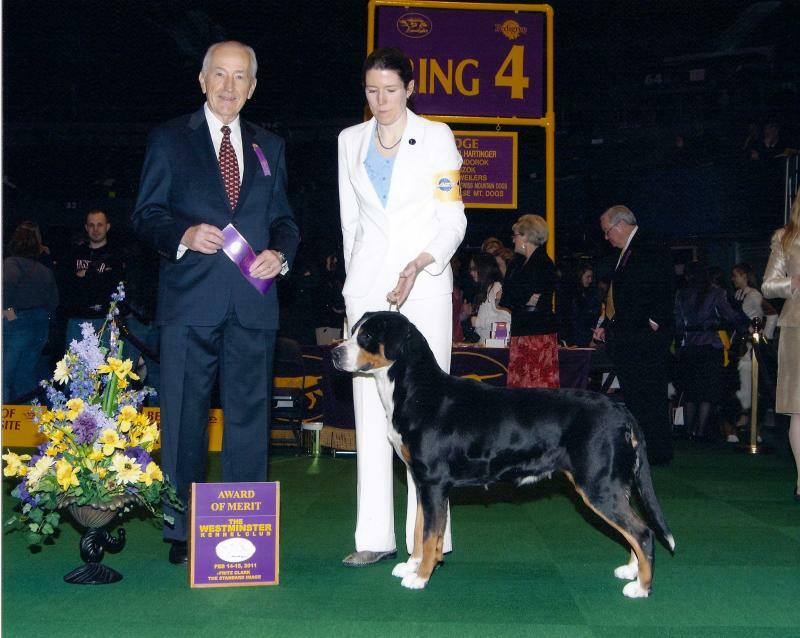 Please fill out this survey for Greater Swiss Mountain Dogs who were living at any time during the years of 2008 to 2012. 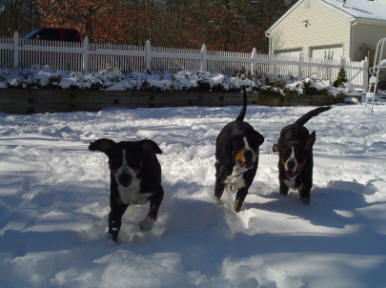 Dogs deceased before January 1st of 2008 and dogs born on or after January 1, 2013 are not eligible for inclusion in this study. 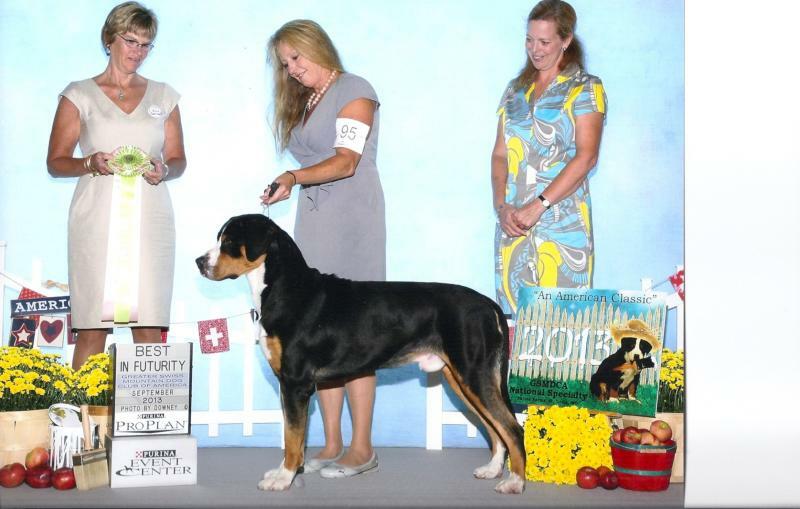 NEWS from the National Specialty, Purina Farms in MO 2013! 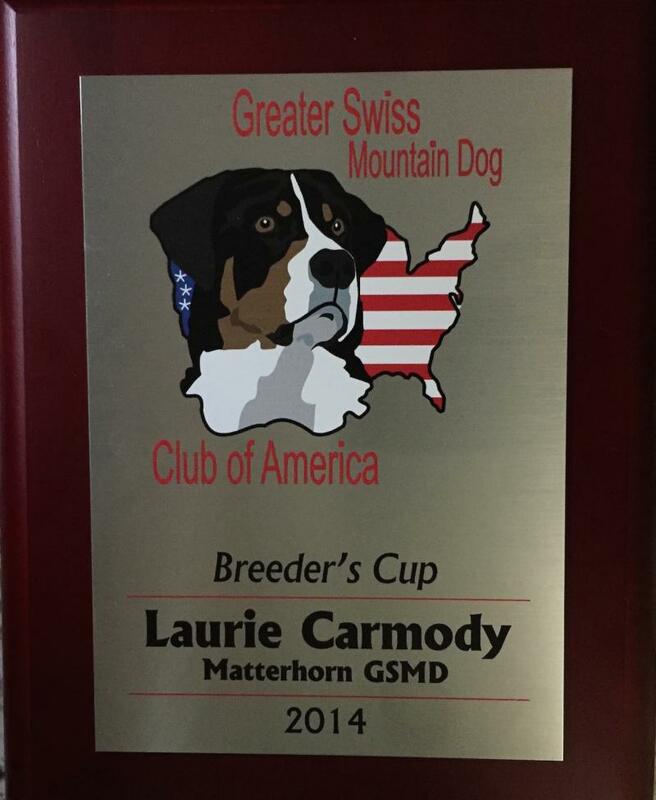 "Pyro" Matterhorn's Burning Down The House, goes Best Puppy in Sweepstakes AND Grand Futurity Winner! 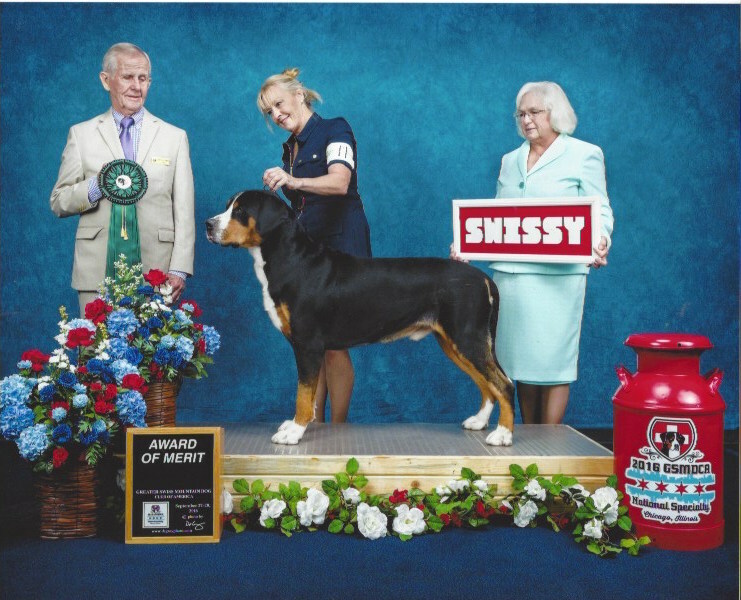 We couldn't be more proud of our 3rd generation home bred boy! 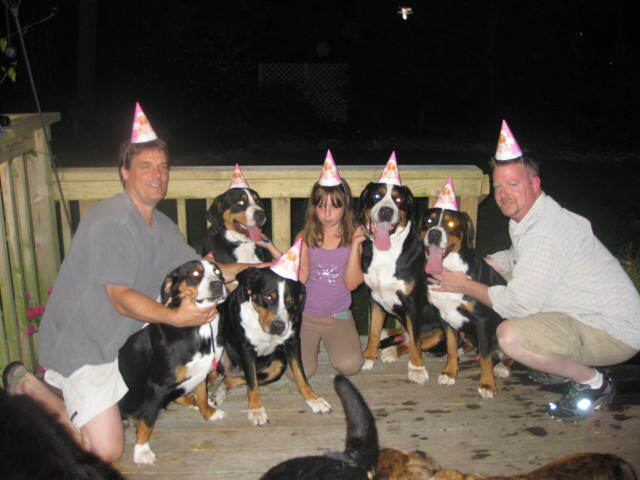 Molly and Yuri litter 1st Birthday!